← I took it for granted and I won’t make that mistake twice. I may be jumping the gun but I feel like I just survived the toughest 4 weeks of my life. It is definitely the toughest I have had since becoming a dad. 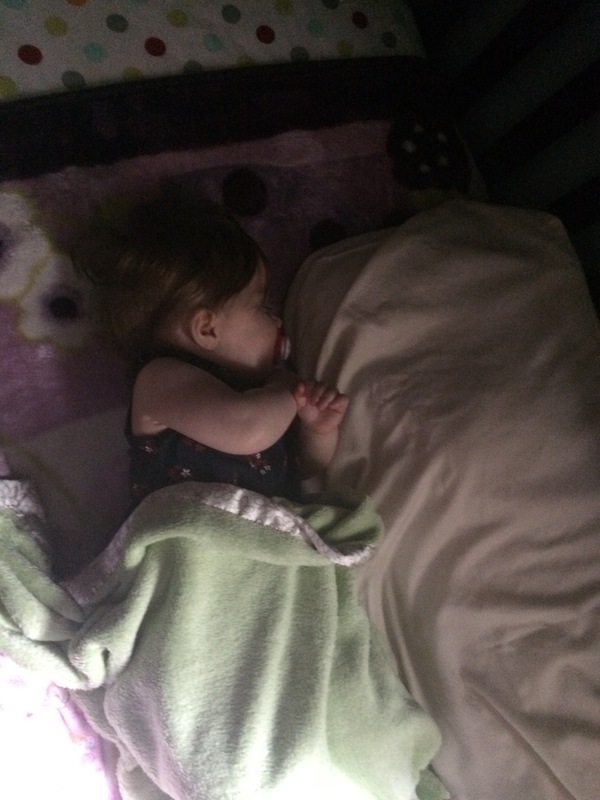 Up to this point, Natalie has always slept well in her crib for naps and during bedtime. For the last 4+ weeks Natalie has absolutely refused to sleep anywhere but in either Addison’s or my arms or in between us in bed. Before you jump to the conclusion that we should be thankful she sleeps in bed at all, it’s not as glorious as you may think. SHE HAD TO SLEEP IN BETWEEN US, meaning we both had to be in bed. If Addison woke up to get ready for work that means all 3 of us got up. That’s a good 45 minutes of sleep Nat and I were missing out on. Kendall would usually sleep for an additional 2 sometimes even 3 more hours. Right about the time Kendall was waking up, Natalie was ready to take a nap (remember that nap has to occur in my arms on the couch). When Kendall wakes up, she needs a diaper change, a change of clothes, milk and some breakfast to start her morning off right. While Kendall ate her breakfast, tired cranky Nat and I hit the couch to get her some Zzzzzs. This would have been awesome if Kendall could have been a quiet good girl and not immediately jump on the couch, yell and try and lay on us (she got these qualities from her mother). Natalie ended up getting around an hour of sleep and I spent that hour fighting off Kendall with one arm. 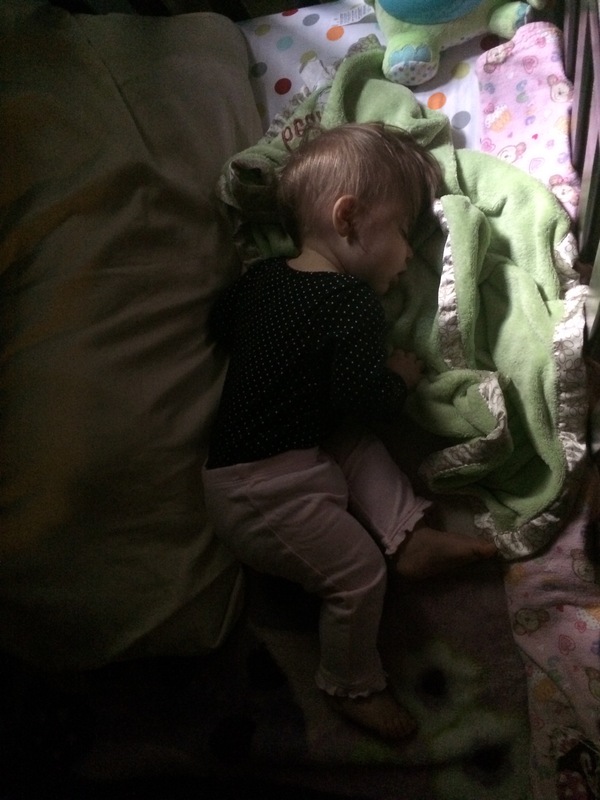 Nat’s afternoon nap wasn’t as stressful because Kendall falls asleep really easy in her bed. 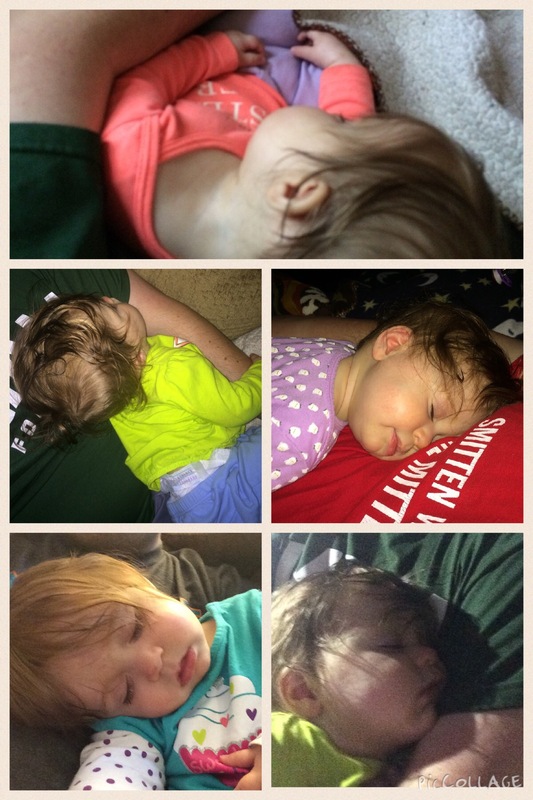 I ended up on the couch holding my sleeping 9 month old for around 2.5 hours. I will be completely honest with you when I say I took a nap along with my girls every single day since this started. An afternoon nap is great. What isn’t as great is the fact that I haven’t had a minute to myself for the past month. Never having any time to yourself doesn’t seem like a big deal but after a few days it makes you want to smack your head into a wall until you knock yourself out. It was Hell. It was the type of misery that you save up in the back of your mind for your worst enemy. For over a Month I had about 4 total hours away from Natalie. That involved going to Sam’s club to get a 12 pound bag of coffee. So, in Nick fashion, I really tried to dig down deep and find some good in this. The way I see it is, in a few years I’m going to wish more than anything for Natalie want to sleep in Daddy’s arms. I need to enjoy it while it lasts. 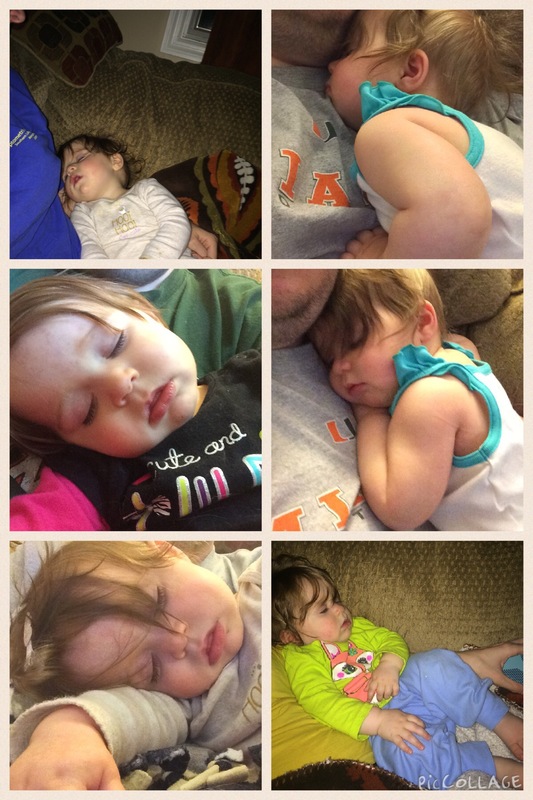 I tried to chronicle as many of the naps as possible. 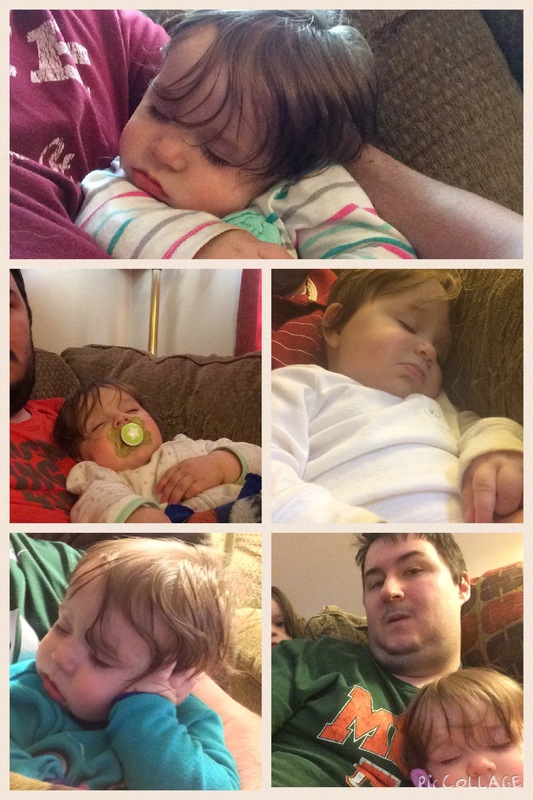 Here are some shots of Natalie and I during our daily naps. On the bright side on Wednesday I got her to fall asleep in her crib for 2 hours in the morning and I got some much needed Kendall and dad time. I am also proud to report that this is what we woke up to this morning. 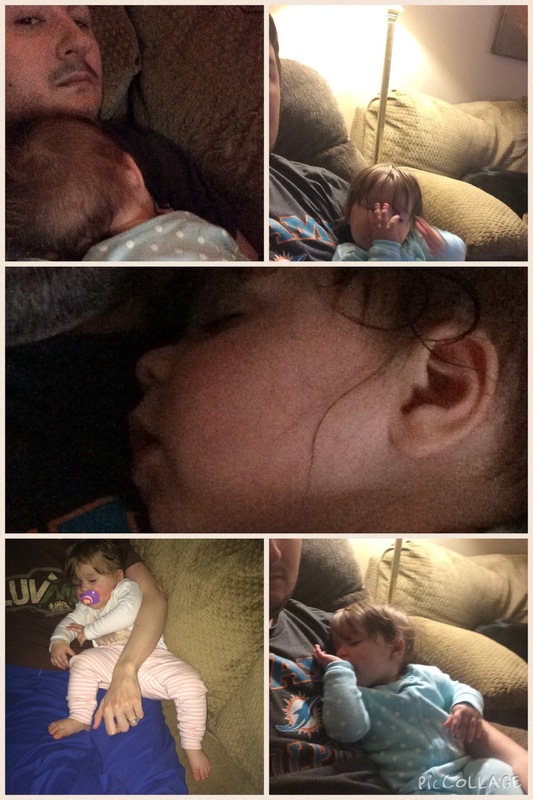 This entry was posted in Baby stuff, Uncategorized and tagged baby will not sleep, family, sleeping baby., stay at home dad. Bookmark the permalink. Hang in there, ya might have babysitters real soon! That might be hands down the single greatest analogy of parenting ever. You sir have won the internet today.